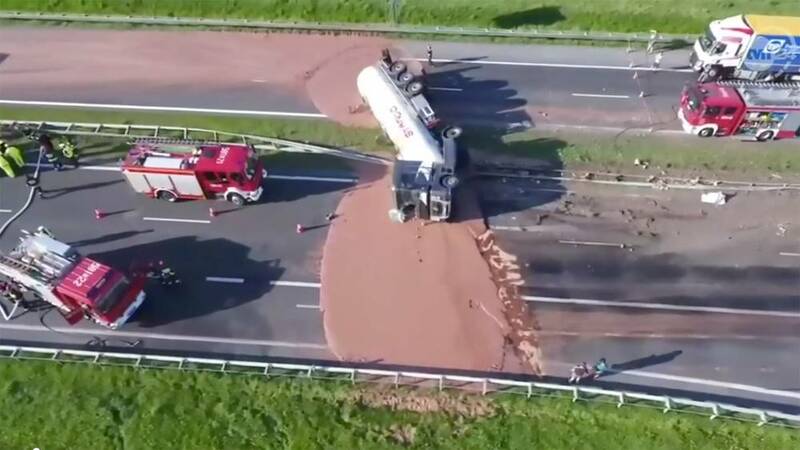 BREAKING NEWS – Warsaw, Poland – A tractor-trailer has overturned on a Polish highway, spilling tons of brown chocolate that are solidifying into a huge sticky mess, which covered six lanes, blocking traffic in both directions. Within a few minutes, three other trucks crashed and overturned at the same location. One was filled with ice cream, one was filled with cherries, and the third was filled with nuts. By some strange coincidence, the accidents occurred on a Sundae morning.